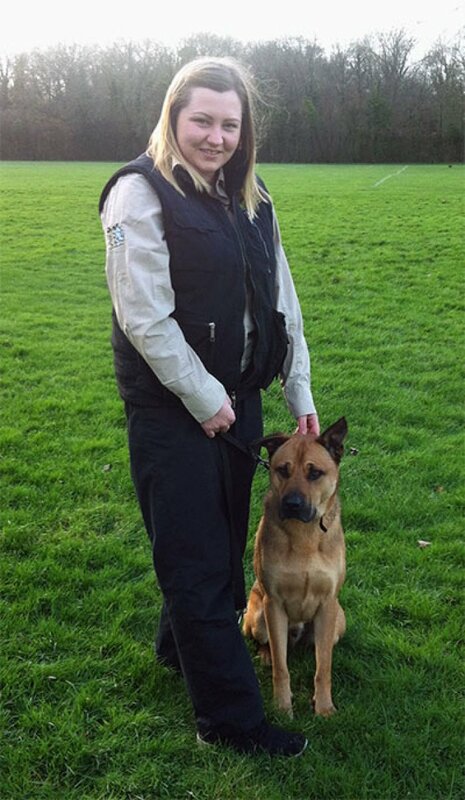 My name is Shauna Hoey of Bark Busters Home Dog Training Hove. I am your local behaviour therapist and trainer. I can help you with any area of dog's behaviour and training and of course, puppy management and education. You may be experiencing pulling on lead, aggression/lunging towards other dogs or people, nuisance barking, that’s annoying your neighbours, or you just want your dog to stop jumping up, running off or stealing. Some of those behaviours cause embarrassment, concern and stress, even in relationships within the family or with neighbours. They can be fixed as I know only too well! When I was young my nan used to breed Dachshunds. I had a lovely time when there were puppies growing up ready for their new homes. Later, my dad, who set up his own building company, got a Jack Russell Terrier as a more suitable dog for a builder’s yard and after that we had a succession of excited noisy, energetic Jack Russells! Growing up around dogs gave me a love of all animals and at the first opportunity I got a horse. He took up a lot of time, but being in my own home, I decided I needed a dog too. Along came Oscar, a German Shepherd, Shar Pei and Rottweiler mix. He grew into a lovely cuddly boy and we had great times together. Sadly, one day he was attacked by another dog whilst out, the result being he was totally traumatised, became a nervous wreck and very aggressive and distrustful of many situations. He used to lunge at every dog, bark aggressively and being a big strong boy, I used to dread walking him as it was very difficult and stressful. I knew I needed professional help the day that he charged at the front door having seen the postman and crashed through a glass door to get to him. I searched the internet and luckily found Bark Busters. An appointment was made for a few days later. I was a little anxious about what the trainer would say. I had visions of them saying it was an impossible task and they couldn’t help. I hoped that at least something could be done to help my boy. I could not have been happier. The then, Bark Busters Hove dog trainer, explained why he was so anxious and that communicating with him in a way he could understand, he could be rehabilitated. I was shown communication techniques, fun games and practiced the training daily and couldn’t believe how quickly he began to improve. We both enjoyed the easy to follow training and games and we rebuilt our relationship so that he trusted me to make decisions instead of being reactive when anxious. After only 3 lessons he was able to walk on a lead without lunging at dogs and stay in another room while I answered the door. I had never thought that this was possible. The Bark Busters Support Guarantee was a great comfort too. I had paid just once and could contact the trainer and receive free return visits, ongoing support for the period I’d purchased. Not having to worry about finding the money for future visits if and when I needed help again. Although, having qualified to work with horses, I decided that becoming a dog behavioural therapist and trainer would be my dream job! Luckily an opportunity arose to work in Hove and surrounding areas and I jumped at the chance to learn more. I loved my training and have since thoroughly enjoyed helping dog owners with the issues that prevent them from fully enjoying their dogs. Oscar is now a well-adjusted dog, can be off lead around other dogs and has a little sister too. Jasmine a small terrier came to me initially as a foster dog. At 18 months old, she was terrified of life in general, having a very timid personality, and my friend who owned her asked me to help. She gradually became more confident and continued to help Oscar to lean to play and relax, whereas he showed her he would be her big brother. A great fit and my friend decided that she would be happier if she stayed with me – of course I was happy with that. In addition to my daily work with dog owners, I have help primary school teachers train their own dogs to come into the class room to help relax and calm children. The children will sit and read to the dogs or simply quietly stroke them, which has been beneficial in special education and mainstream classes. Also, I carry out assessments of people and their dogs, for them to become therapy dogs working in hospices, residential homes or hospitals. My work is so rewarding, seeing the improvements and joy of owners who had thought they might have to give up. I can help you to achieve these results too. I will explain why the behaviour is happening, show you how to communicate effectively with your dog in a way they will instinctively understand and once you know the “why” behind the behaviour we can soon get to work on “how” to fix the problem. If your dog is large or small, old or new, or even a young puppy, I can help. No dog is beyond help. Pulling on the lead, jumping up, boisterous behaviour, separation anxiety, aggression to dogs or people or many other issues, I can help you. Maybe you’re looking to give your puppy the best start in life? I will tailor the training programme to yours and your dog’s needs. With practicing the training, I show you, for just 15 - 20 minutes per day, you should start to see great improvements and achieve the behaviour you want. Many owners see a big improvement from the very first lesson. 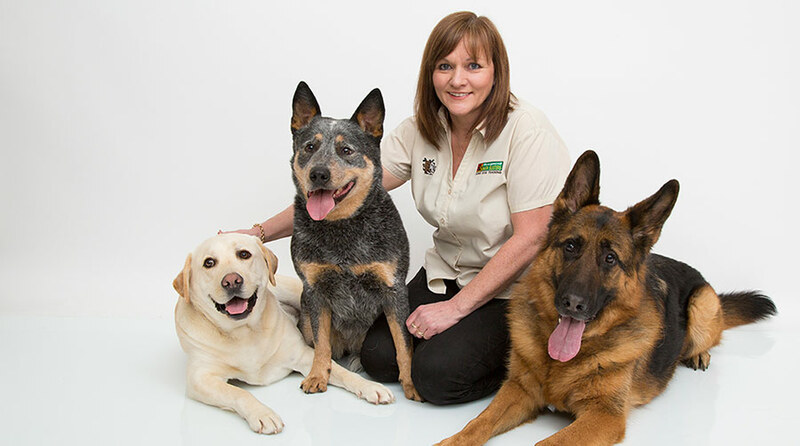 Contact me to learn how I can help with your dog’s training and behaviour issues and together we can rebuild your relationship with your dog to be a rewarding one.